Rev. 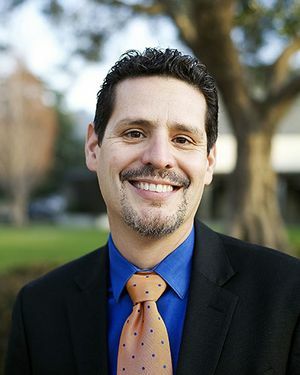 Dr. David Vásquez-Levy serves as President of Pacific School of Religion in Berkeley, California –a progressive, multidenominational seminary and center for social justice that prepares theologically and spiritually rooted leaders to work for the well-being of all. A committed pastor, a nationally recognized immigration leader, and a sought after speaker, Vásquez-Levy leads at the intersection of faith, higher education, and social change. Vásquez-Levy regularly contributes a faith perspective to the national conversation on immigration and is the author of various publications that explore migration stories in sacred texts and in people's lives. He has lived in four countries and taught courses and led international study and service trips across the globe, including a course in France entitled, “Immigration/Refugee Crisis, Religion, Globalization and the Post-Colonial Immersion” and a course in Guatemala entitled: “Guatemala: Roots of Migration”. Accompaniment: A Bible Study on Mission, ELCA Global Missions, 2014. Ruth, Books of Faith, Augsburg Fortress, 2012. 1 and 2 Samuel, Books of Faith, Augsburg Fortress, 2010. Out of the Waters: Resisting the Power of Fear, Bible Study on the book of Exodus, Lutheran Immigration and Refugee Services, 2011. “Biblical Fluency: Living under God’s Influence,” Currents in Theology and Mission, June 2014.